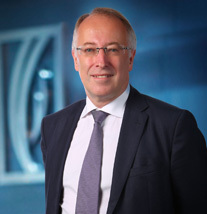 With over 20 years of international experience in the financial markets, Tim Fox has been serving as Chief Economist of Emirates NBD in Dubai since November 2008. In this capacity, he and his team support all the functions of the Bank. Tim is responsible for the development, coordination, and production of economic and financial analysis and reports, with a focus on global and regional economies and financial markets. Prior to joining Emirates NBD, Tim worked at a number of investment banks in London and New York, where his focus ranged from the foreign exchange markets to G10 and emerging market economies. Tim graduated from the London School of Economics and Political Science in 1985, and he is a frequent commentator on global and regional business events.